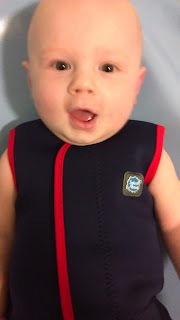 Blake has been having Swimming Lessons for eight months now and there are some essentials for going swimming with a baby. Blake loves his weekly lessons and its such a delight to see his excitement when getting in the pool. One thing is that he hates with passion the changing rooms. He will scream and cry until we are out of there. Anyway on to the essentials. 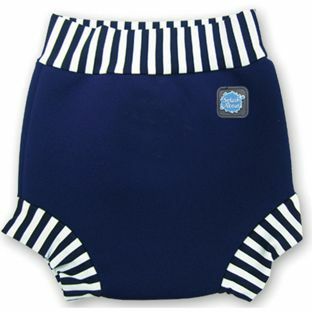 We take a couple of Huggies little swimmers with us which Blake wears under his splash about cloth nappy. Its always good to make sure you have a few your regular nappies with you for after swimming. For you and for baby. Blake wears a splash about wrap in the pool to keep him extra warm. 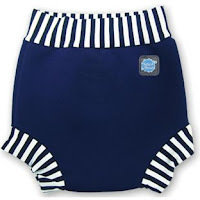 You can also purchase swimming costumes for both boys and girls. 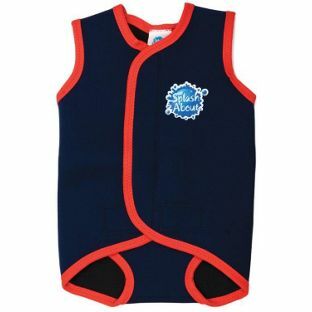 One for you and one for baby for keeping warm and dry after being the pool. We use a regular towel but you can also use hooded towels for babies. We have forgotten our pound coin for the locker once but was lucky that the pool was able to give us some change. We now make sure we always have one with us. We like to use our own as the changing table at our local pool is very hard and cold for Blake to lay on. You can buy special swim ones too but we have chosen not to. After swimming your baby is going to be most likely hungry. We keep snacks in our bag to make sure if Blake is hungry after we don't have to rush to a shop. 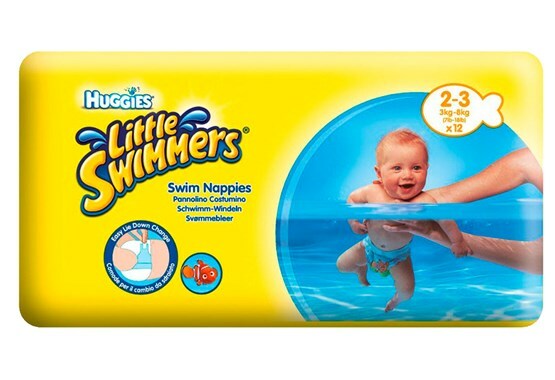 Do you pack anything else when you go swimming with your little one/s? i really want to get corben into swimming lessons, he's now 3 and i wish we started earlier. i always forget to bring post swim snacks! I always make sure to double check our swimming bag, I also take spare clothes incase i drop something of the kids and it gets wet ha ha. When I took my daughter for her first swimming lesson I brought so much with me. Looking back I must have been mad! These swimming suits are adorable. I dont have children, but i think swimming for babies is a wonderful thing. I no longer have little ones... sob. But when my daughters were small I'd invariably remember all their things, but always forget something I needed! It's amazing all the things you have to pack for taking little ones swimming isn't it? I always end up forgetting the locker coins! Last time we went to the pool was when chloe was 3 months. That's 12 months ago. I haven't taken Matthew to the pool in nearly 2 years. He's not a fan of it not so much the water but he hates being bare feet. Whereas his sister loves it it's going to be an interesting trip to Spain in August. My little one has been swimming since he was 3 months and he loves it. Such a fun class! I don't tend to go swimming very often as I am afraid of the water but I always seem to forget something. Ah all of mine love swimming, I really need to take them more I think. Elsie especially seems to be a true water baby, even now she has none of the fear the others started to develop. I swam almost every day when I was pregnant with her, maybe that's why? !